An additional week is offered to allow those enrolled in our sessions ending on August 2nd to extend their stay for one more week. Extension Week runs from Monday, August 5th to Friday, August 9th. 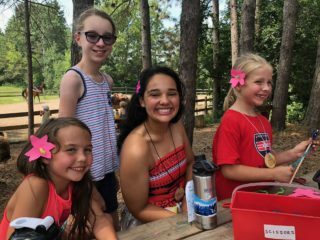 Extension Week will mirror the session days that each camper is enrolled in for the standard summer sessions with the addition of Friday, August 9th (all extension week campers attend Friday). Programming will consist of all of the great activities offered during the summer plus some special daily programming.